Last year, the image of two women beating each other in a shopping centre’s entrance hit the headlines in the entire country. It seems that, one year later, everything is under control. This year’s Black Friday has started with a surprising calm, including London’s most centric streets. The cause of this can be found on the Internet. It seems that customers have preferred not only to save money, but time as well. Sales online have registered their highest levels during the day, as discounts were available on the web as well. Some of them offered even more discounts than in stores. Consequently, some websites have crashed due to a massive demand. Others have even experienced several delays in deliveries; there were some that had registered three-hour delays as many of the most demanded products had been sold out in minutes. 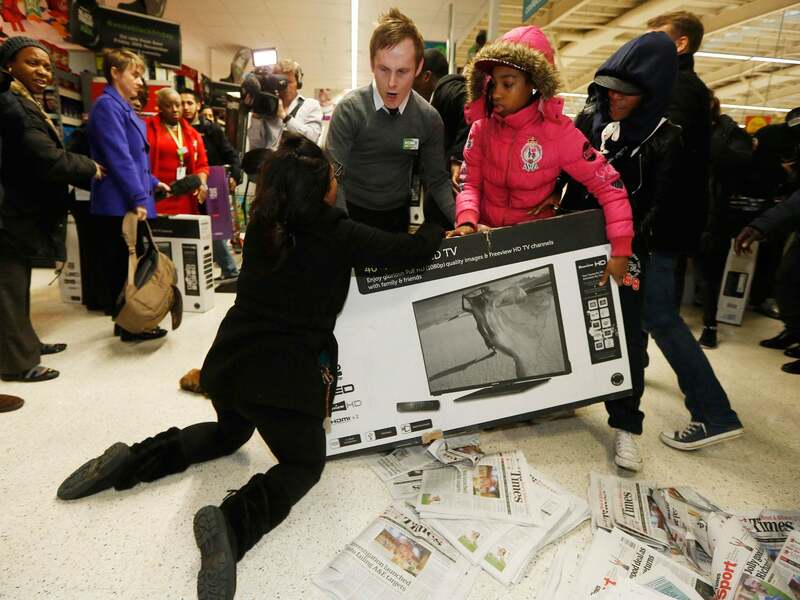 Anyway, this is very good news for Black Friday 2015: another campaign that has resulted to be an absolute success. However, as the day went by, the queues began in shops all around the country. Shopping malls have been extremely busy, and the streets ended up completely over-crowded during the afternoon. But still, everything seems to have gone quietly; as there haven’t been episodes like last year’s brutal fight. Black Friday has resulted to be an excellent chance to get the best bargains. Due to its popularity, it has become a practice that has been applied to many foreign countries, some of them have even extended sales from Friday to Sunday, others even the whole week.